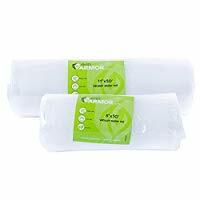 Avid Armor Vacuum Sealer Bags were one of our highest rated vacuum sealer bags scoring 4.5 out of 5 stars. These bags were higher than average from a quality perspective with thickness of 3 Mil (front) 10 Mil (back). The Avid Armor bags were also one of the most economical bags we reviewed with an average cost of $0.18 per bag for 1 quart sized bags, and $0.24 per square foot for 11" bag rolls. Avid Armor is slightly more economical than our top rated brand OutOfAir, but they were also a thinner, so choose which is more important to you. 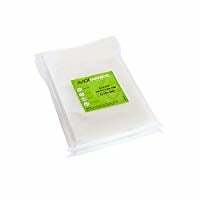 These bags are also Universal Vacuum Sealer Bags and are compatible with most brands of vacuum sealers. Our only real complaint with this brand is the size of the rolls. Avid Armor rolls come in 50ft lengths, most other brands come in 25ft rolls. These longer rolls have a wider diameter of approximately 3.25", make sure your machine can accommodate this size before ordering. 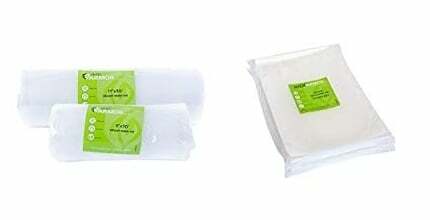 Do Avid Armor Vacuum Sealer Bags work with FoodSaver Vacuum Sealers? 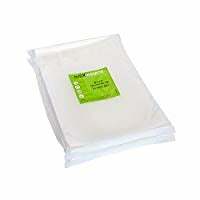 Yes Avid Armor Vacuum Sealer Bags work with all FoodSaver Vacuum Sealers, they are Universal Vacuum Sealer Bags which means they work with most brands of vacuum sealers, use the Comparison Chart for more information. 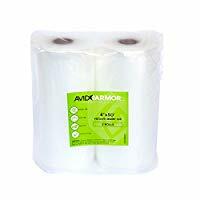 How thick are Avid Armor Vacuum Sealer Bags? Avid Armor Vacuum Sealer Bags are 3 Mil in the front and 10 Mil in the back. 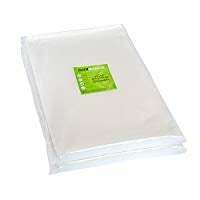 What sizes do Avid Armor Vacuum Sealer Bags come in? 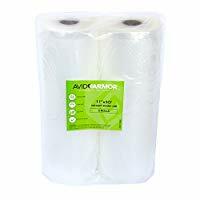 Avid Armor Vacuum Sealer Bags come in the following sizes: 1 pint (100 count), 1 Quart (100 count), 1 Gallon (100 count), 8"x50ft (2 rolls), 11"x50ft (2 rolls), Combination pack of 8"x50ft (1 roll) and 11"x50ft (1 roll). Will 50ft rolls fit in my vacuum sealer? 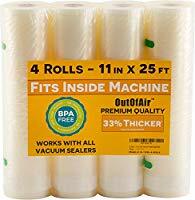 Rolls that are 50ft in length are approximately 3.25" in diameter, you will need to measure your vacuum sealer to make sure it will fit. Are Avid Armor Bags Freezer Safe? Yes all Avid Armor Vacuum Seal Bags are Freezer Safe. Do Avid Armor Bags work with Sous Vide Cooking? Yes all Avid Armor Vacuum Sealer Bags will work with Sous Vide Machines.